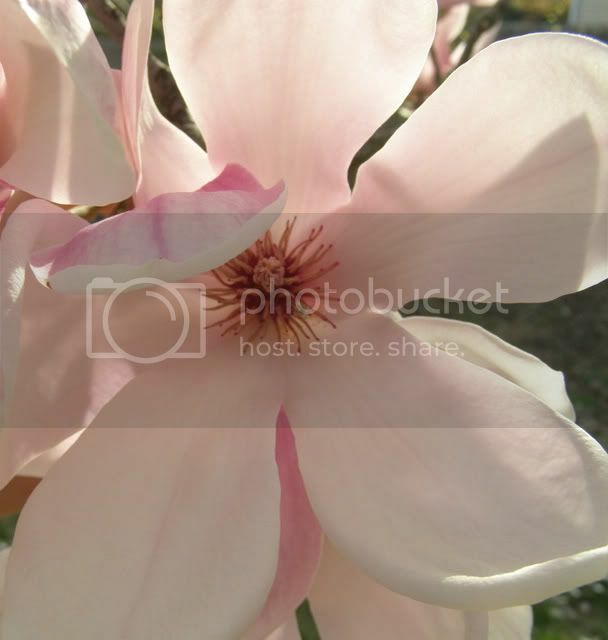 There's a beautiful magnolia tree in my front yard, completely covered in large blossoms. At least, I think it's a magnolia. Any arborists, feel free to correct me. Anyways, it made me want to do a really soft eye with the hints of lavender and magenta. I think this is as delicate and feminine as I can possibly look. Eyes: MAC Kitchmas pig, LORAC Innocense, NP Wanderlust Must palette (the off white, slightly ochre shade), UD Secret Service, L'oreal HiP Secretive paint, Prestige Total Intensity in Bold Brown. This is probably something I'd do for say, dinner with the future in-laws. Normally, I like more depth and opacity, but soft washes of color do come in handy sometimes.